This is my back-up post for lifeatuoft, written during the honeymoon phase of the school year (September) when I am still madly in love with my professors, schoolwork and the predictable routine of university life. I wrote this post back in the fall, predetermining the fact that by the end of November, when tests, projects, presentations and essays are all due at the same time, my relationship with school may be on the rocks. About midway through the academic year (right now! 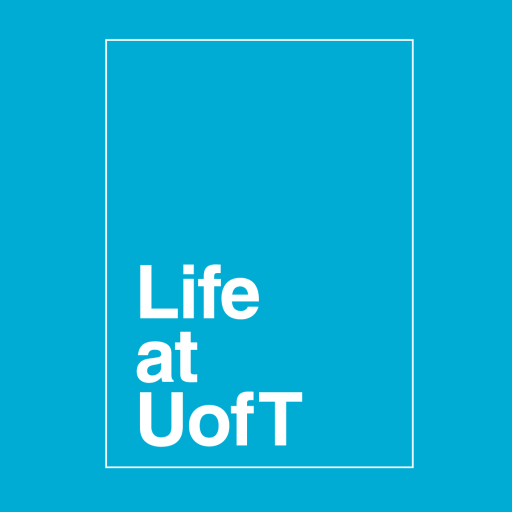 ), I’m fantasizing about a much needed break from U of T and won’t want to contribute to lifeatuoft at all. In fact, the last thing I want to do after a hard day of work is come home and have to dedicate more time and attention to you, school. Everything is too demanding. Too stressful. I thought it would be different. I love it. I hate it. I want to leave it. It’s not U (of T), it’s me. Although I can’t accurately predict what my state of mind is today (this was written in September, after all), I am most likely dreaming of a professor suddenly granting my entire class an extension. This sympathetic gesture has actually occurred on rare occasions. However, this isn’t the norm. In fact, one friend told me that she asked for an extension from a particularly popular and celebrated professor on campus because her mother was dying of cancer and he said NO, as he had a rule about not making any exceptions for deadlines, and that he had to stick to it, however, he said he was sorry to hear about her mother (I should also add that this total lack of empathy towards students struggling with serious personal problems is also rare). I once took a Contemporary British Literature course with Professor Fenwick (pronounced with a silent w) and she made it very clear that getting an extension is possible, under very special circumstances. Very special. The fact that Professor Fenwick had never been to North Bay, combined with the incredibly random specificities and bizarre nature of the excuse, made her conclude that it must be true. And let’s face it, so much better than hearing about a sudden doctor’s appointment/delay on the Sheppard subway/printer ran out of ink run-of-the-mill excuses. However, when another student said she would be missing a test because she was attending the Calgary Stampede, Professor Fenwick was less lenient but noted that she respected the student for telling the truth, instead of a far-fetched tale of tragedy and turmoil. Just remember, each professor approaches extensions differently. While some are merciful, others will flat out deny you of a few extra days or weeks to complete your assignment, so be aware and proceed with caution. First, ask yourself, is this actually a valid excuse for an extension? Are you asking for this extensions because you were watching too much TV? Poor planning? Putting your social life before your schoolwork? Terrible time management skills is not a solid reason for an extension. Don’t ask for an extension the night before in e-mail. Professors are aware that there is a weird sudden illness that university students are stricken with the night before something is due. This mysterious illness almost always results in a high number of requests for extensions on the eve of a due date. Talk to your professor, in person if possible, to explain your situation. Putting a face to a name is good. If you go to every class and participate, I’m sure the professor will recognize who you are and hopefully see you have been present in the lectures instead of someone who has skipped classes and realizes they can’t hand in an assignment because they have no idea what is happening in class. Be prepared to provide a doctor’s note if you are sick. This is common sense. While some professors will accept a poorly scrawled doctor’s note, the University of Toronto requests that students have their doctors fill out this Student Medical Certificate form to provide evidence of illness. Try to get an extension on only one assignment. Unless you are seriously ill, getting extensions on numerous assignments is dangerous because it will just make you procrastinate more and stress you out when the time rolls around again to hand everything in again. Do you really want to be spending your winter break writing essays? And just remember, you are making an impression on your professor whether you like it or not. If you haven’t had much interaction with your professor, you could possibly be remembered for getting an extension. Be a standout student in other ways. Students who volunteer to present first in class are usually remembered and marked on a slightly different scale because they cannot be compared to anyone else. Your professor might also have higher expectations now that you’ve been granted an extension. I guess my main point is to avoid extensions and awkward, pleading conversations with professors at all costs! Now back to my essay writing. Do I sound bitter? I promise I won’t be, once I’ve handed all of my assignments in on time.